A city council faces paying out hundreds of thousands of pounds to motorists who were fined for driving in a bus lane because a warning sign had a word missing. Derek Brocklehurst was fined £30 for driving in a bus lane - but dodged the penalty after successfully claiming the fine was unenforceable. 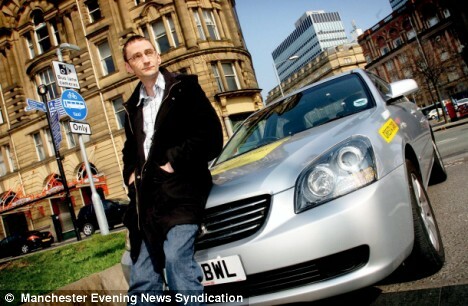 Now Derek Brocklehurst may have opened the floodgates for more than 10,000 drivers to reclaim penalties paid to Manchester City Council.After receiving his ticket, sharp-eyed Mr Brocklehurst pointed out to officials that a sign allowing buses, cyclists and black cabs to use the lane did not have the word 'only' on it. As a result, he argued, the sign was not legally binding and his fine would have to be waived. The city council accepted there had been a mistake and corrected it. But the authority could now be left with a bill for hundreds of thousands of pounds after it emerged that since the sign was put up on December 15, 10,185 notices of prosecution had been sent out.